When an old faithful company disappears for years and then reappears on the scene, investors should return. I am talking about Dell computer. They were taken private by Dell and some private equity companies. 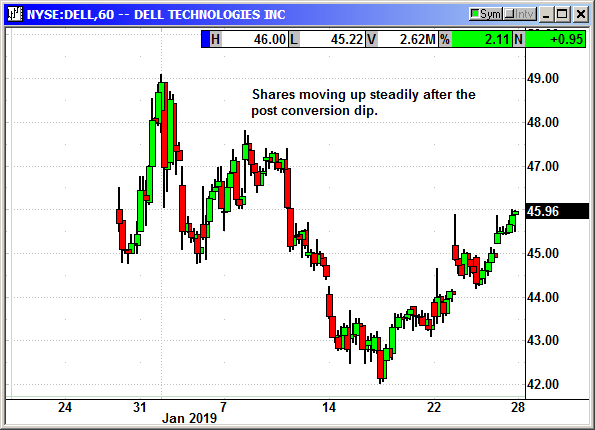 Now Dell is back. Buy April $47.50 call, currently $2.60, stop loss $42.85.